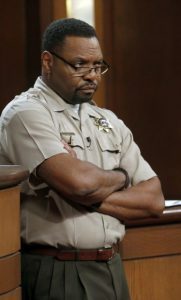 How much does Petri Hawkins Bailiff make money from Judge Judy? Who is his wife? 1 Who is Petri Hawkins-Byrd aka Bailiff? 7 You Certainly Didn’t Know this- Petri is an M.C. 8 Just Exactly How Rich is Petri Hawkins-Boyd? 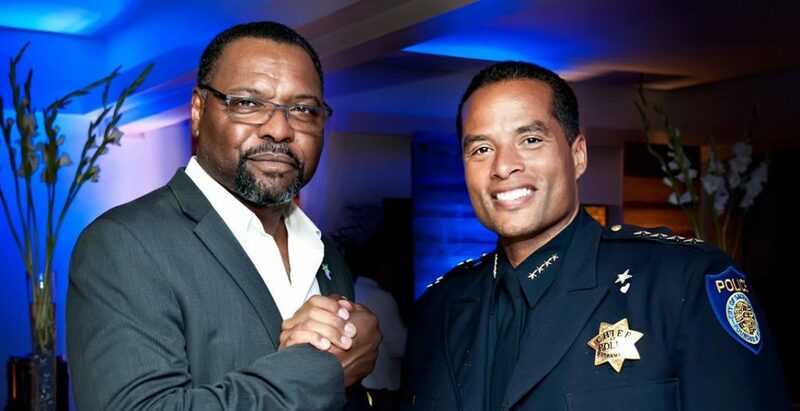 Who is Petri Hawkins-Byrd aka Bailiff? Born as Petri Adonis Byrd on the 29th November 1957 in Brooklyn, New York City USA, he is a television personality and actor, best known as a Bailiff in the reality show “Judge Judy”, a position he has held since 1996. He is also an actor, and has appeared in more than 20 film and TV series, with his most popular role being Tom Hennessy in the crime film of the same name. The oldest of four, Petri grew up in the Crown Heights neighborhood of Brooklyn with his two younger brothers and a younger sister. He went to Eastern District High School, and after matriculation enrolled at Hostos Community College, and later on, in the late ‘80s obtained a criminal justice degree from John Jay College. In the early ‘80s, Petri found a place for himself in the Brooklyn circuit of the New York City Court System as a court officer, ensuring that all processes in the court passed without any problems. After a couple of years he joined the Family Court division of Manhattan, where he started working with Judge Judith Sheindlin, with whom he developed a close relationship in the next few years. Already married and with children, Petri decided to move to San Francisco with his family and accept a job offer to work for the US Marshals Service, remaining in the position for the next six years, but once Judge Judith Sheindlin was offered her own show – “Judge Judy” – Petri came to her that ‘if you need a bailiff, my uniform still fits’. The two met at Judy’s home place to speak about the position, and Petri accepted the offer, thus becoming the bailiff on Judy’s show. Since the start of the show in 1996 Petri has been serving as the bailiff, the person responsible for keeping the courtroom in order, providing material between the judge and litigants and other duties, including stopping altercations between plaintiffs and defendants. He has appeared in over 1,000 episodes of the award-winning show, earning a name for himself in the courtroom, but also his devotion has opened other doors for him. With the rise of his popularity, Petri tried himself as an actor. Just a year after his first appearance on screen, he made his acting debut in the Primetime Emmy Award- nominated TV series “Nash Bridges”, starring Don Johnson, Cheech Marin and Jodi Lyn O’Keefe. He then provided the voice of Baron Samedi for the video game “Akuji the Heartless” in 1998, and in 2000 had a minor role in the film “Playing Mona Lisa”. Two years later he had his first starring role, as Detective Meyers in the drama film “Redemption of the Ghost”, next to Gene Bicknell and Monty Cox. He had several other notable roles, including as Lenny in the drama film “A Deeper Love” in 2007, and the titular role in the film “Tom Hennessy” in 2013, for which he won the Best Action Sequence- Feature award given by the Action on Film International Film Festival, USA. In recent years, he has worked on a number of projects, including the films “Under the Palm Tree”, and “Rabid Christmas”. You Certainly Didn’t Know this- Petri is an M.C. When he is not in the courtroom and filming another season of the popular “Judge Judy” show, Petri has been serving as an M.C. and has spoken at many differing events, passing his knowledge and experience to others on numerous topics. Just Exactly How Rich is Petri Hawkins-Boyd? Well, since starting his career in the ‘80s, Petri has accumulated a decent net worth. According to authoritative sources, Petri’s wealth has been estimated at $3.5 million, an amount earned through his successful career. He has never boasted about his worthy possessions like numerous other celebrities, but instead kept a low profile and let his work speak for him. Petri has been a married man since 1980; he married his high school sweetheart Felicia and since then they have become parents of four children. Though the couple experienced some hardships and lived separately for quite some time, they eventually reunited and never looked back on the time spent apart. He prefers to keep all info not related to his career hidden from the media, but thanks to the hard work of a journalist, Petri’s personal life has also come to spotlight. Ever since becoming a respected personality, Petri has found a way to give his share to the community; he has supported a number of charitable organizations and has been serving as the national chairman of the O.K. Program, an organization focused on empowering young black males. Furthermore, Petri is a board member of the faith-based youth program, Teen Center USA. Petri joined Twitter in 2011, and though many would think that he is not into social media and other modern technologies, he has proved all of them wrong. Petri has mainly used Twitter to promote his work, especially on “Judge Judy”. Not many have followed him, only around 10,000 people, but here is your chance to get in touch with Petri Hawkings-Boyd. His physical support his strong. Coming at you with 6 feet 2 inches and 240 lbs, he wouldn’t be a successful bailiff if he looked differently.